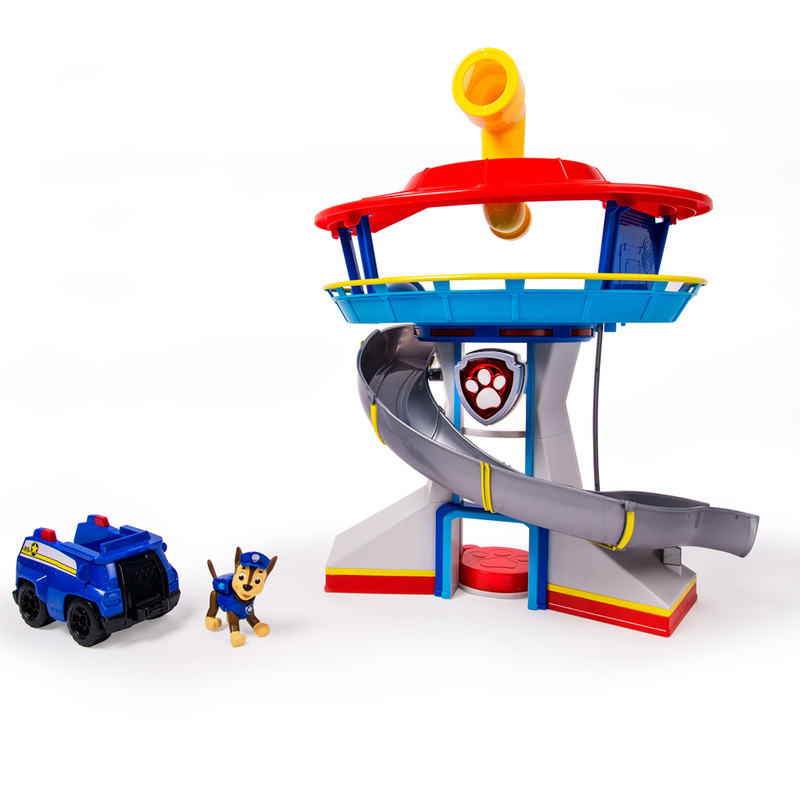 Keep a look-out for danger with the PAW Patrol Look-Out Playset! Watch Chase take the elevator to the top of the PAW Patrol Look-out and use the real working periscope to search the surrounding area for danger. The Look-Out Playset is a playground for your child’s imagination as they recreate incredible scenes from the Nickelodeon TV show! When danger is spotted, race to the rescue by hitting the PAW Patrol badge to sound the alarm! Send Chase down the wrap around slide and straight into his SUV. No job is too big and no pup is too small and now you can save the day with the incredible PAW Patrol Look-out Playset! In the dark of night, in the light of day, the PAW Patrol will serve Adventure Bay! The PAW Patrol Look-Out is the ultimate HQ with a real working elevator, lights and sounds and wrap around slide! Search Adventure Bay using the real working Periscope! It rotates a full 360-degrees! The Look-Out Playset includes a Chase action figure and his police SUV! The PAW Patrol Look-Out Playset includes 3 button cell batteries and is made for PAW Patrol Fans ages 3+.